Somadome is a personal meditation pod that integrates ancient healing practices with modern technology, to provide meaningful stress relief in 20 minutes. It is a free-standing, fully immersive pod that uses LED color therapy, binaural beat meditation, and microcrystalline tiles to provide mental and physical benefits. Those searching for a bit of zen in a hecticworld, might want to check out of life’s daily stresses and into a Somadome. One of only two in the U.S, it can be found at the Cornelia Day Spa at the Surrey Hotel in New York (the other is at California’s Ojai Valley Inn & Spa). 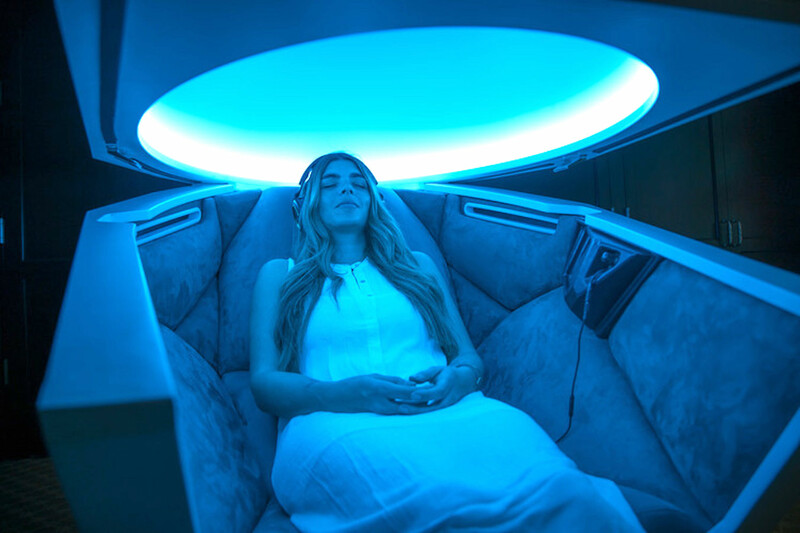 The pod experience combines color immersion therapy, binaural beat meditation, and microcrystalline tiles to get you into an om state–all in under 30 minutes. Guests pay an average of US$50 (€46, £34) per 20-minute session and Attia says most spas are booking between five to seven sessions a day. The Somadome is basically a tricked out womb-like chair, with a hinged, dome top featuring colored lights. You sit down in the cushioned seat, put on your headphones, and close the pod to get started. Two air vents blast cool air in. If you’re claustrophobic, don’t worry, with an open panel at your waist, and the ability to open the dome with the flick of a switch, you’ll be absolutely fine. An iPod connecting to your noise-canceling headphones lets you select from eight options for your experience. Three of the meditations are guided—Love, Manifest, & Heal. 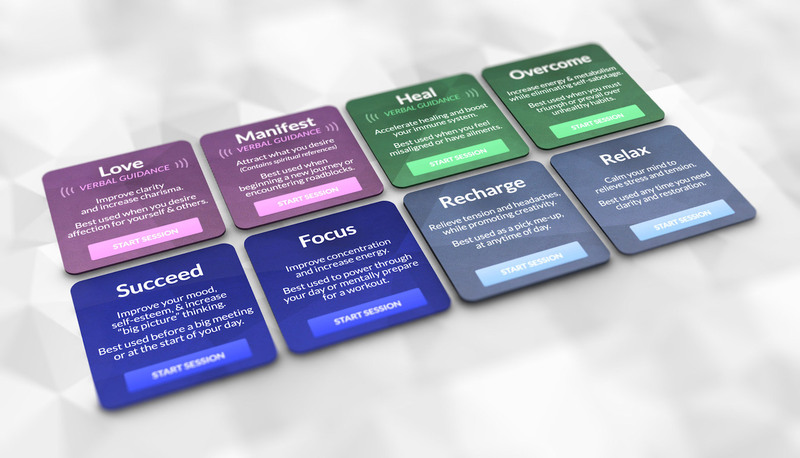 The other five—Overcome, Succeed, Focus, Recharge and Relax use sound frequencies associated with the body’s natural recharging states to bring you into a deep meditative state. The binaural beat is apparently only something your brain can hear, and is associated with the benefits of your chosen program. While your track is playing, LED lights in the dome turn on, also corresponding with your requested experience. The idea behind color therapy is that the colors stimulate impulses in our brains, which create hormonal and biochemical processes to calm, recharge, or reset your brain. The cushions in the pod are actually microcrystaline tiles that apparently unblock stagnate energy and enhance positive flow in your body. While that sounds amazing, it’s not something you can really feel. They just feel supremely comfortable. “Somadome Meditation Pods Rollout Globally.” Spa Business Magazine: Uniting the World of Wellness. N.p., n.d. Web. 12 Mar. 2017. Bliss, Sara. “This Really Works: I Tried the Somadome Meditation Pod.” Yahoo! Yahoo!, 15 July 2015. Web. 12 Mar. 2017. Taylor, Jordyn. “The Newest Luxury Spa Service? Meditation Pods.” Observer. N.p., 01 July 2015. Web. 12 Mar. 2017. “A Sanctuary of Wellness in a World Full of Stress, Noise and Distractions.” Somadome. N.p., n.d. Web. 12 Mar. 2017. Thompson, Cadie. “This Awesome Pod May Solve the Most Difficult Thing about Meditating.” Business Insider. Business Insider, 02 Aug. 2015. Web. 12 Mar. 2017.